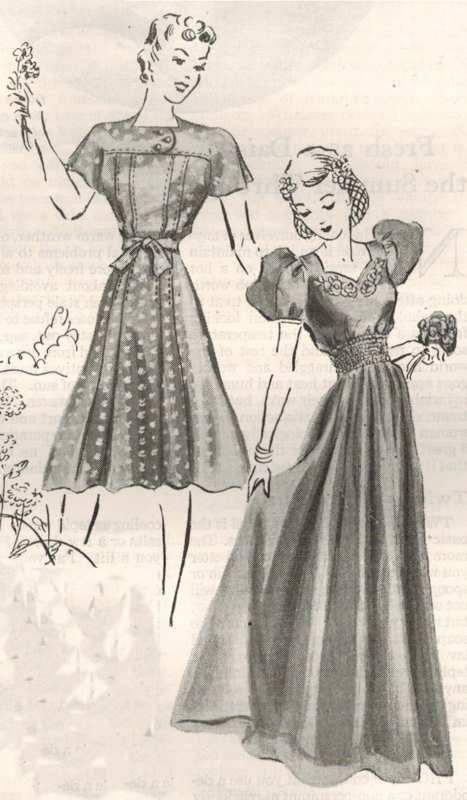 The Midvale Cottage Post: 1939 Summer Frocks - Eye Candy! 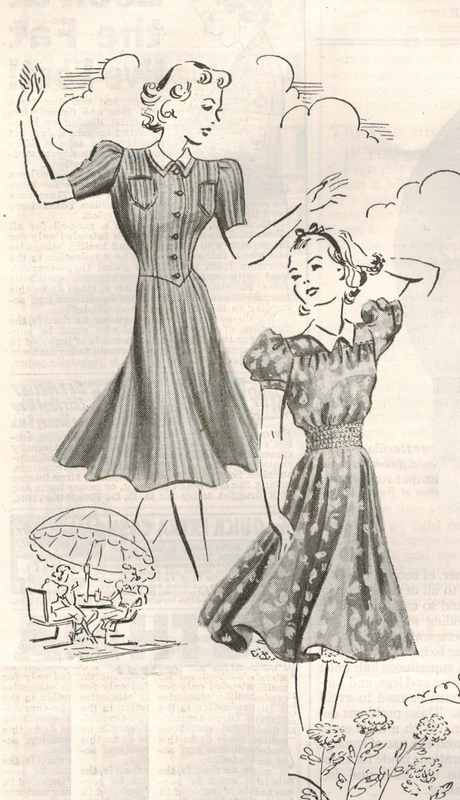 Let's take a summer break and enjoy these cool cotton frocks from 1939! Upper frock has short flutter sleeves, yoke interest, and a skirt with top-stitched pleats that release into swing fullness. Lower evening dress is sewn with beautiful sheer fabric. It has an embroidery-trimmed sweetheart neckline, a shirred midriff, and long graceful skirt. Inspiring fashion for your late 1930s wardrobe! Oooohhh! I Love both of the dresses with the shirred waistline. So pretty! I agree, Brigid! To me, all these dresses have such a contemporary feel. But then, I think all 1930s dresses have that quality - simply timeless!